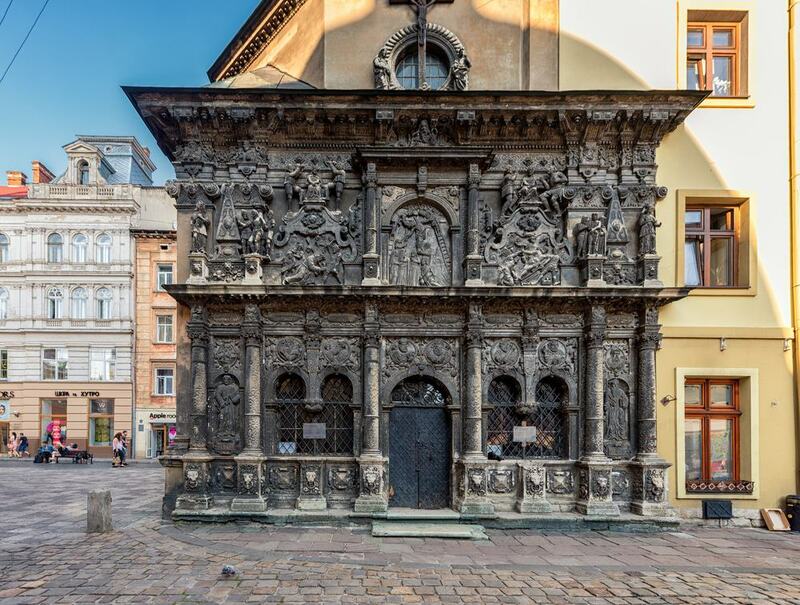 The old city of Lviv in western Ukraine is a UNESCO World Heritage Site, at the crossroads of cultures and jam packed with historic architecture. Being on a key trade route made Lviv very cosmopolitan in medieval times: Ukrainians, Poles, Armenians, Jews and Germans mixed here for hundreds of years, at a time when this merchants’ city was the capital of the Galicia region. That wealth and diversity is manifest in the sublime Renaissance and Baroque houses and churches in the Old Town. These chaotic but cultivated streets host many of the top museums, galleries and performing arts venues in Ukraine. 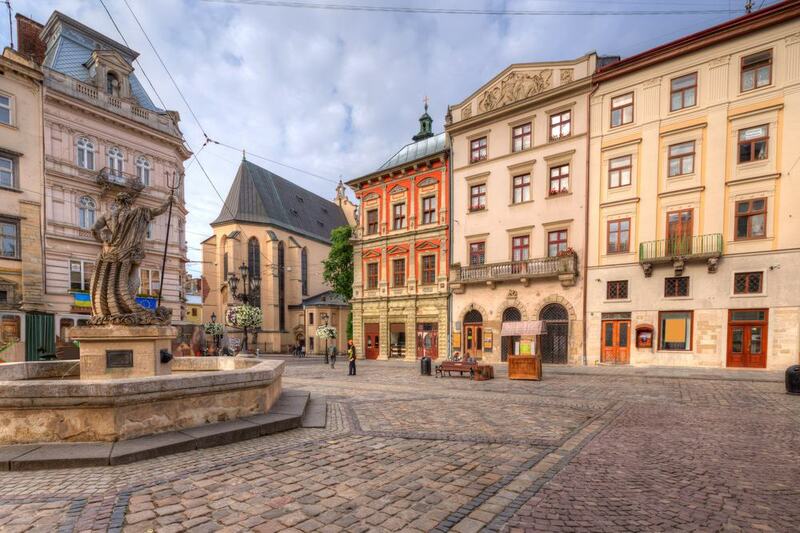 Lviv had the good fortune of escaping major destruction in the Second World War, and its position on the trade roads between the Black Sea and Central Europe furnished it with more beautiful architecture than you can hope to get through in one visit. The old centre is a UNESCO World Heritage Site, bursting with more than 2,000 registered landmarks, many in mint condition despite being 500 years old. This abundance of sophisticated stone-built architecture is partly down to a calamity, as all the wooden buildings were wiped out by two fires in the 1500s. Every sightseeing tour should begin at Market Square, which we’ll come to shortly. 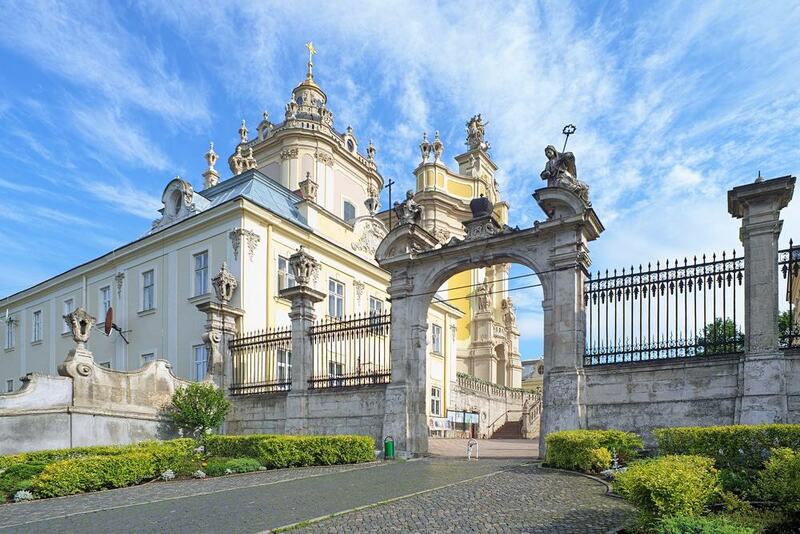 This 18th-century Catholic cathedral looks out over Lviv from its namesake hill on the west side of the city. It was built over 15 years up to 1760 and its exterior ornamentation is as rich as it gets. Against walls painted a pale yellow there are lavish Rococo pilasters, sculptures, balustrades and highly ornate mouldings. Above the portal stand two dominant statues, one of St Leo and the other of St Athanasius, both the work of the Czech sculptor Johann Georg Pinsel . After all that drama the interior is a lot more discreet, but there are some fascinating things to see, like a “wonder-working” icon of Mary from the 1600s, and tombs for some eminent figures of the Ukrainian Greek-Catholic church. It seems like all streets in the Old Town converge on this historic and hectic central square surrounding Lviv’s Town Hall. Market Square heaves with locals, tourists and street performers and the amount to see on this one plaza is almost overwhelming: There are glorious townhouses on each side of the square, many from the Renaissance (especially on the East side), and some with later Rococo designs. Most contain bars, restaurants and cafes where you can watch the throngs, but there are numerous museums and tasteful artisan shops. Rounding off the scene are four classical fountains, one on each corner and depicting Diana, Neptune, Adonis and Amphitrite. 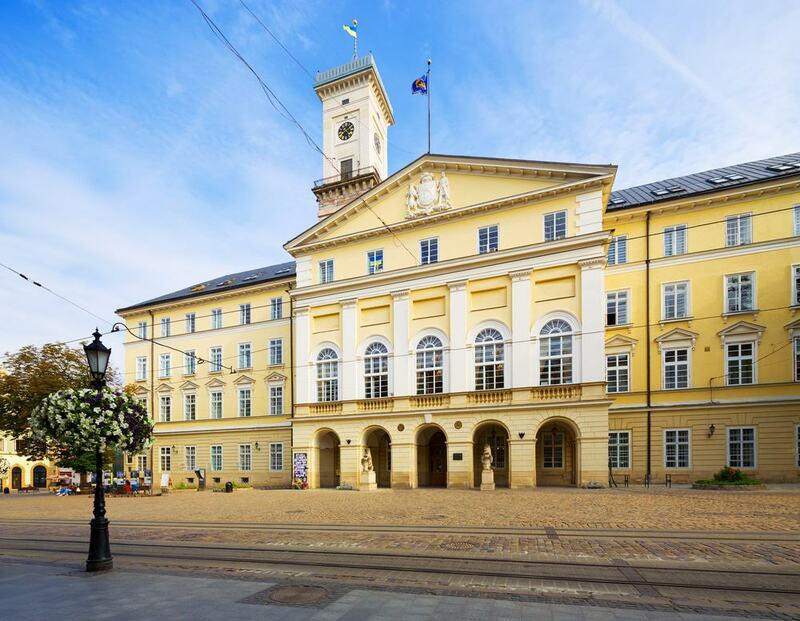 The seat of Lviv’s city council is a medley of buildings, the oldest dating to the 14th century. The oldest elements are towards the centre, while the western side is from the turn of the 16th century. The City Hall was capped with a new, 650-metre Renaissance Revival tower in the 1830s. 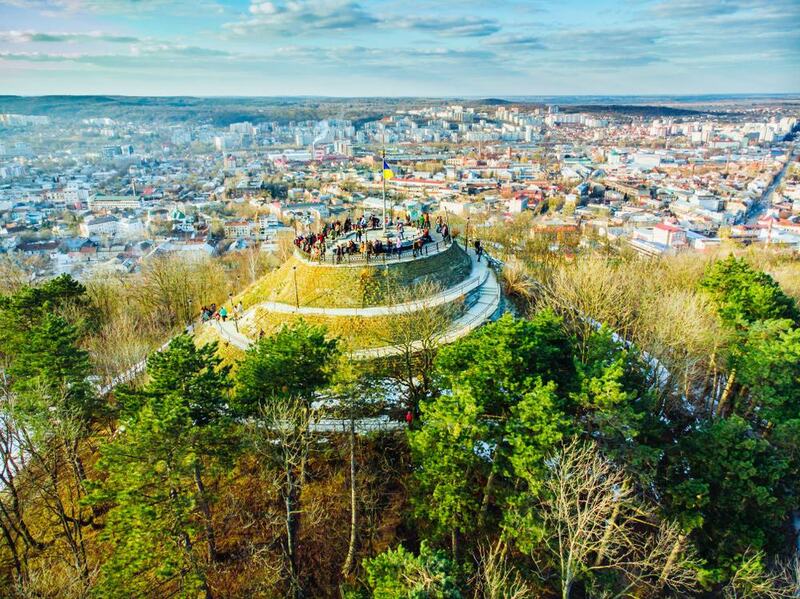 As long as you’ve got the energy, a trip to the top should be one of the first things you do in Lviv, because it’s the easiest way to get your bearings. This is no simple task though, as just to get to the ticket office you have climb 103 steps. And after that you’ve got to tackle another 305 before you come to that vista of the city and its famous hills. 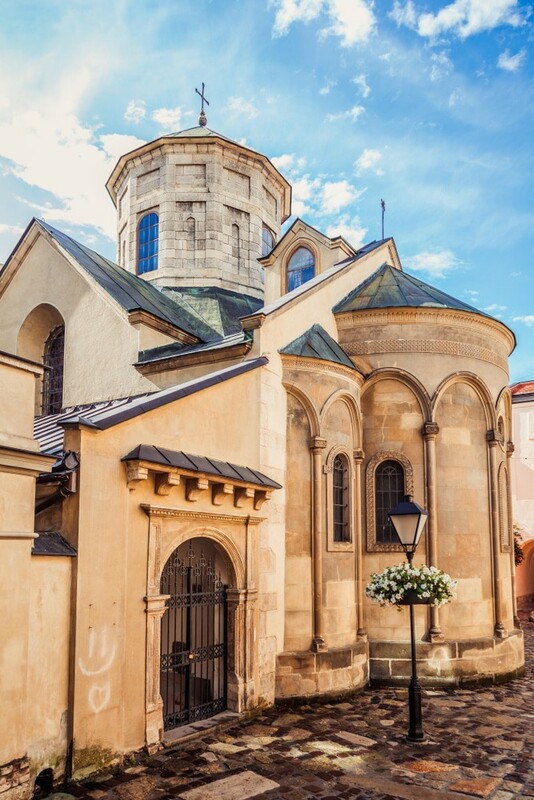 On the eastern edge of Cathedral square there’s a 17th-century Mannerist chapel that has no equivalent in either Ukraine or the rest of Europe. The facade is completely taken over by sandstone carvings, that may take a while to decipher. On the lower tier are statues of the apostles St Peter and St Paul, in the middle are cartouches with Latin inscriptions, while on the densely packed third tier are scenes from the Passion. You can make out the Castigation, Christ Carrying the Cross and the Crucifixion. There’s also loads of decoration crammed into the interior in the form of intricate stuccowork. This is most impressive on the dome, lit by an octagonal lantern and with 36 panels of sculptures representing prophets, angels, the apostles and Jesus. 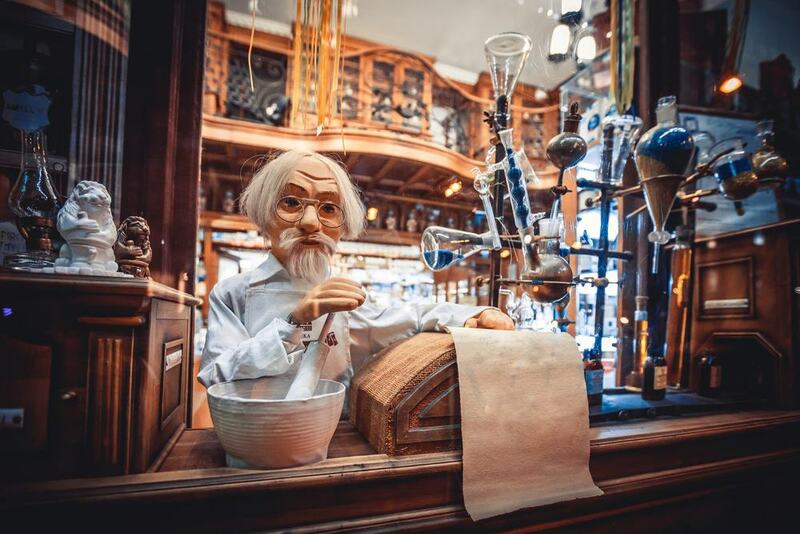 The “Under the Black Eagle Pharmacy” opened in 1735, and is the oldest pharmacy still in business in the Ukraine. Since the 1960s it has lifted the lid on its old laboratory, library, apothecary and 13 other rooms that date back almost 300 years. The age of the building is clear as soon as you cross the threshold as the ceiling is painted with images evoking earth, water, fire and air, the body’s “four humors”. On the tour you’ll get to know the strange medicines prescribed for ailments centuries ago. There’s a big stash of historic lab equipment like presses, scales, stills and pestles and mortars, as well as cabinets laden with earthenware medicine jars and antique books going back to the 1700s. There has been an Armenian community in Lviv since the 13th century, and it’s around 1,000-strong today after immigration during the Soviet Union. As the oldest church in the city, the Armenian Cathedral was founded in the 1360s. The church has seen a few changes due to fire, but the Byzantine layout and khachkars (engravings of Armenian crosses) in the apse on the eastern side of the temple are from the earliest period. The southern section of the arcaded courtyard outside is also historic and dates to the 15th century. In the 1900s the church’s interior walls were painted with bold Art Nouveau frescoes by the Polish artists Józef Mehoffer and Jan Henryk de Rosen. 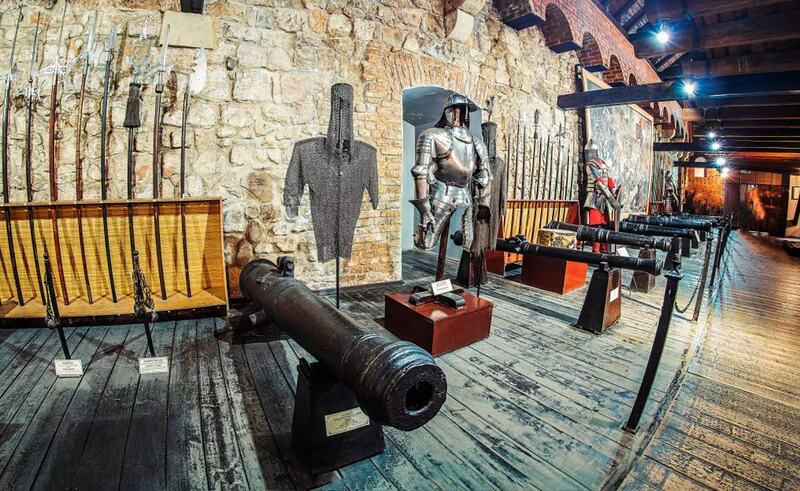 There’s a department of the Lviv Historical Museum at one of the city’s three historic Arsenal buildings. It’s a stiff walk uphill, just east of the centre, but will thrill anyone with a taste for old-school weaponry. The exhibition spans 1,000 years and 30 countries, and has blades and firearms that increase of varying sophistication. Many of these pieces were crafted to be seen and come encrusted with precious stones and inlaid with ivory and mother of pearl. One of a catalogue of must-sees is a double-edged Ottoman sword from the 17th century, named “Zulqifar”. There are also Polish maces from the high middle ages, an Italian Renaissance ceremonial helmet, a Tatar shield from the 17th century and bronze canons forged in Lviv in the 1500s and 1600s. 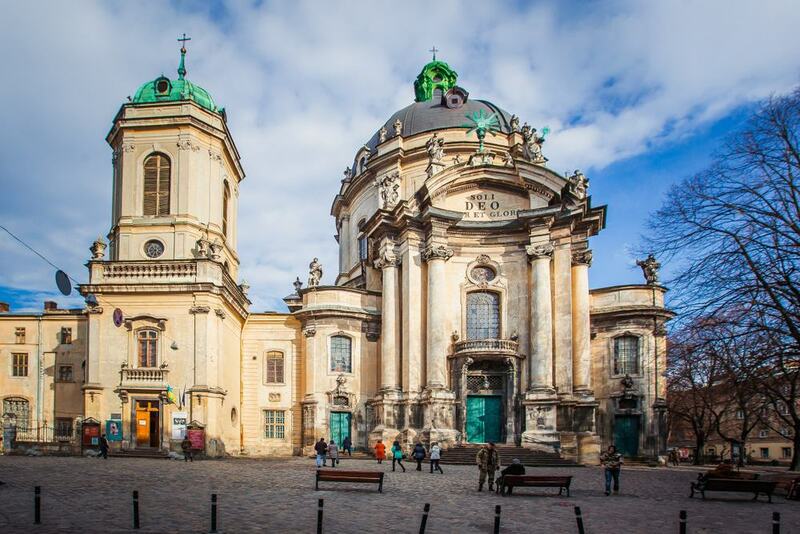 Lviv has more than a hundred churches, but the Baroque Dominican Church to the east of Market Square should be a priority. The present temple was completed in 1761, and this plot has been occupied by a Dominican church of some kind since 1378. Its distinguishing feature is an elongated ellipsoid dome bears a resemblance to Vienna’s famed Karlskirche, built around 20 years before. Go in to stand under that dome and see the pairs of sturdy Corinthian columns holding it up. After a spell as a museum in Soviet times the church has been re-consecrated, and is unusual in that you’re allowed to take photographs inside (within reason), and because of the high number of weddings that take place here. After the Armenians were forced to flee from the Mongols in the 13th century, many settled on Virmenska Street, also home to the Armenian Cathedral. In medieval times the street was outside the city walls, while the Armenian community abided by its own laws and grew wealthy from trade with the east. 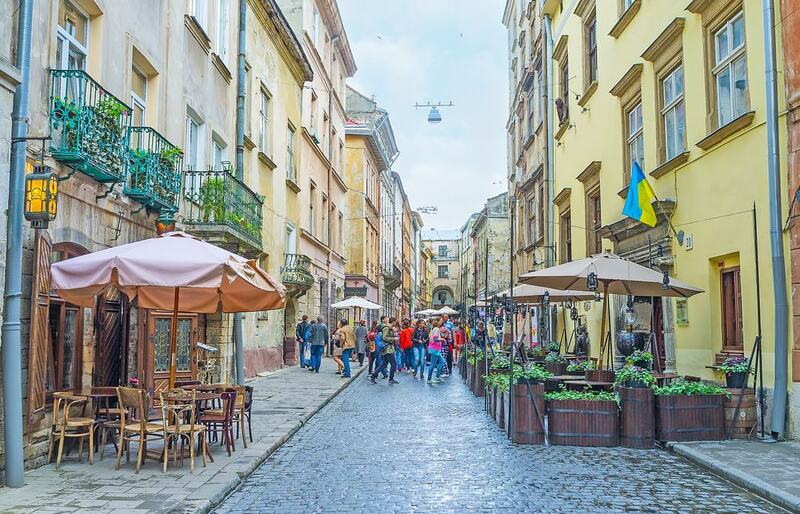 Now, although you need to look hard to spot signs of Armenian heritage on Virmenska Street, it’s still one of Lviv’s most enchanting streets, flanked by historic stone houses hosting cafes, restaurants and galleries. And there are a hints of the Armenian community in the wide portals of the houses, which was a common trait of Armenian architecture up to the 1700s. Two of the best examples are opposite each other, at no 15 and no 20. Watching over Lviv from its northeastern fringe is High Castle Hill, the perch for the eponymous castle dating to 1250 but dismantled in the 19th century. The hill crests at 413 metres, and setting off on foot from Market Square it takes about 25 minutes to reach the top. The path is perfectly walkable, if a little taxing on the upper reaches, when the slope becomes very sharp. 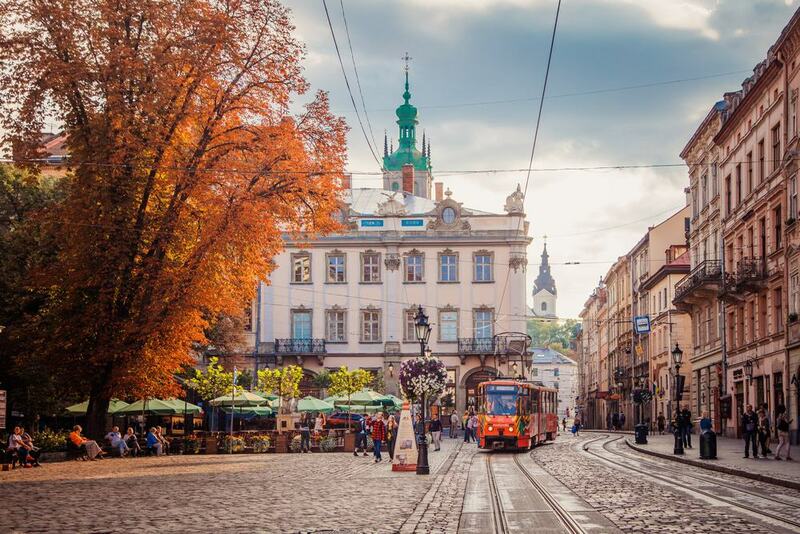 But a bit of persistence will give you another sweeping view of Lviv, where you can compare the palaces, towers and spires of old Lviv with the Soviet housing blocks of the suburbs. The castle is a ruin today, and there’s not much left apart from a wall. But the journey is all about the view and the vegetation at the top: Come just at sunrise in summer and you may have it completely to yourself. 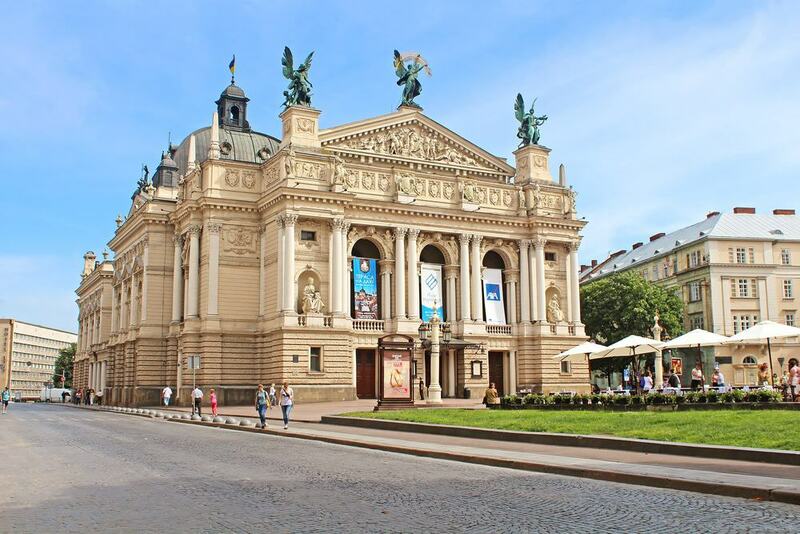 Lviv’s resplendent opera house is one of the city’s symbols and stands alone on Freedom Square. A design competition in the 1890s was won by Polish architect Zygmunt Gorgolewski, and he made a few technical innovations: This location had been marshland, watered by the Poltva River, which was diverted underground. The theatre was then built onto a concrete platform, and after sinking for a couple of years eventually stabilised. Almost 120 years later, this marvellous venue remains the place to get a blast of high culture at a matinee or evening performance, where seats are implausibly inexpensive. In residence is a 90-piece orchestra, first-class soloists and a ballet troupe, all with an extensive repertoire. 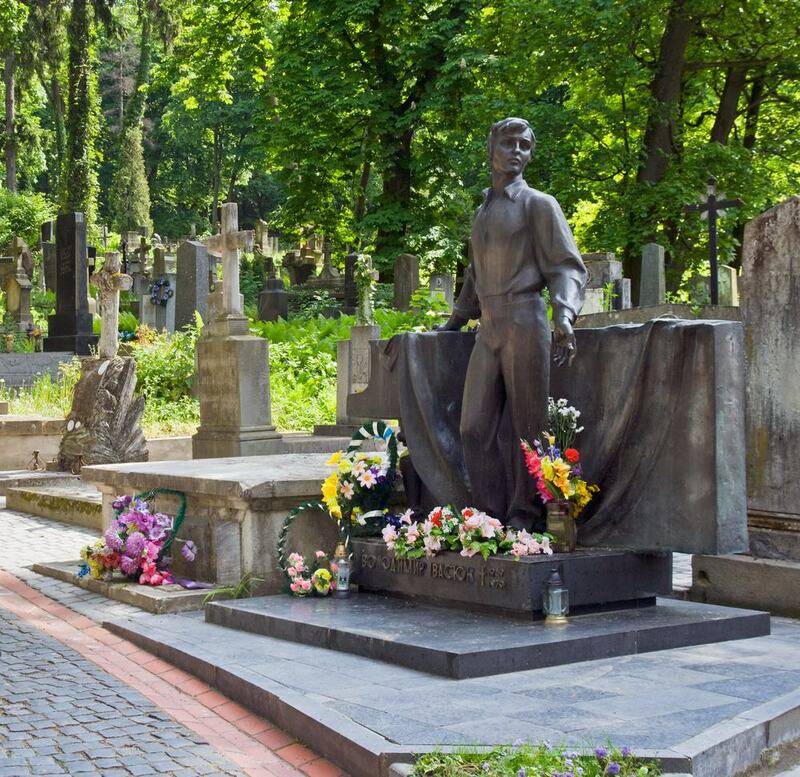 Since the 1500s, Lviv’s most prominent figures have been laid to rest at this 40-hectare cemetery that has now been recognised as a national reserve. Lychakiv Cemetery is the equivalent to Père Lachaise or Highgate and is treasured not just for its prestigious burials but the quality of the art that commemorates them. Laid to rest here are Polish and Ukrainian members of the clergy, politicians, military leaders, scientists, architects (like Zygmunt Gorgolewski), soloists, aviators, surgeons and painters. For Poles the cemetery is poignant as the burial place of the Lwów Eaglets, young militia members who were killed during the Polish-Ukrainian War in 1918-1919. In the same district, on the eastern outskirts you can get a complete snapshot of Ukrainian traditions and rural life without having to stray far from the city. There are buses from the Arsenal stop (29, 36, 39 and 50) arriving at the attraction in a matter of minutes. The museum has 124 buildings, scattered on a wooded hill and relocated here from other parts of the country. A few of these buildings are open, exhibiting tools, costumes and folk art, or hosting demonstrations of old-time trades. 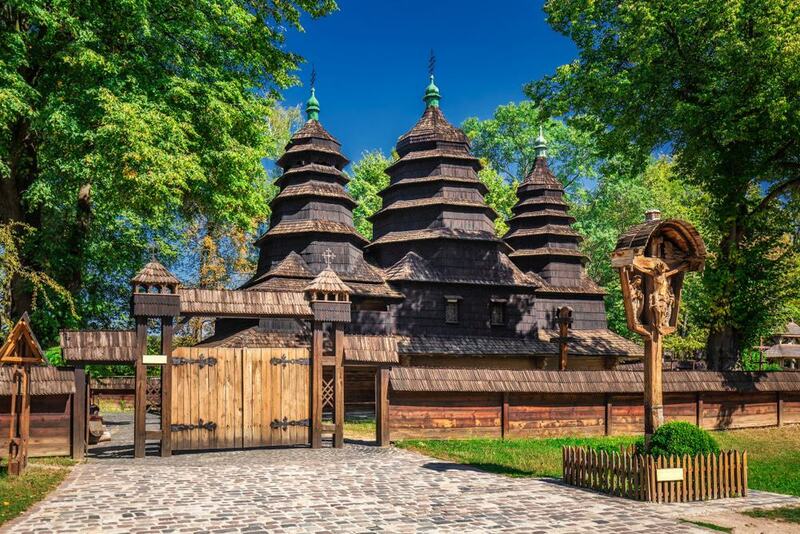 The must-sees are the house from the Carpathian village of Oriavchyk, dating to 1792, and the wooden church of St Nicholas from 1763, both brought here in the 1930s. Once a casino and now an events venue for the Regional Union of Education and Science, the House of Scientists is a shining piece of turn-of-the-century architecture. The building was drawn up by the Viennese pair Fellner & Helmer who built numerous landmarks across Central and Eastern Europe in this period. It was a casino up to 1939 and had a salacious reputation, while during the Second World War the Nazis used it to process prisoners for their camps. The architecture is in a plush Neo-Baroque style and famed for the opulence of its interiors. 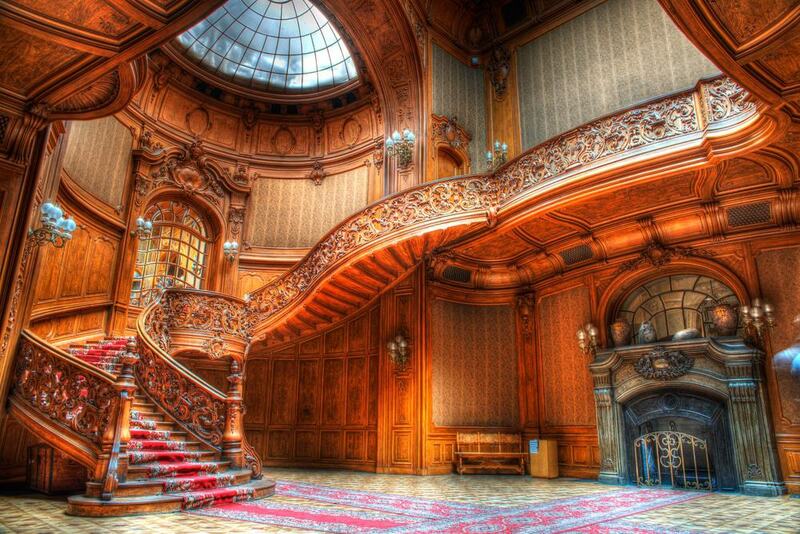 You have to go inside where there’s a staircase meticulously carved from oak illuminated by a domed skylight. This beckons you up to the first floor to a beautiful library and seven other rooms embellished with chandeliers, marble fireplaces, stuccowork and period furniture.